In the city that never sleeps there is always something to see and do, and from your Hilton Grand Vacations Club at West 57th Street timeshare in New York City, you’ll have the best location from which to experience the Big Apple. From catching a show in the Theater District to dining at a new restaurant, it is impossible to get bored in the world’s most famous city. 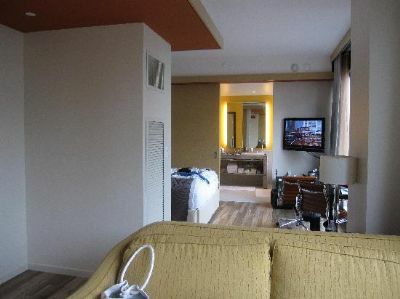 Whether you buy or rent a timeshare at Hilton Grand Vacations Club at West 57th Street, this vacation destination never loses its appeal and excitement. 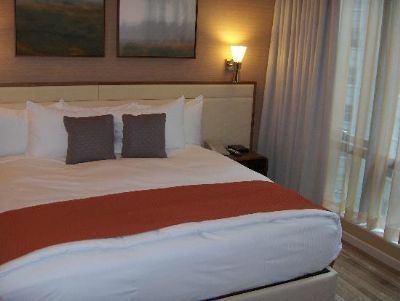 Hilton Grand Vacations Club at West 57th Street is right in the middle of Manhattan’s prestigious Plaza District, with the world-class activities at this esteemed location placing this Hilton timeshare in a category all its own. 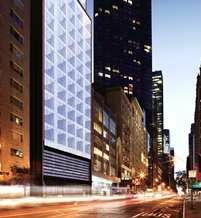 Being in Manhattan is all about originality and innovation, and Hilton Grand Vacation Club has achieved a level of sophistication unique to the timeshare industry with its blend of style and luxury. As the first ground-up, residential shared ownership property ever constructed in New York City, you’re part of hospitality history when you rent or buy Hilton Grand Vacations Club at West 57th Street timeshare. This Manhattan locale is central to some of the city’s most famous attractions including Lincoln Center, Central Park, Carnegie Hall and the Museum of Arts & Design - all are just a few blocks from the Hilton Grand Vacation Club. The boutiques and shops lining New York’s famous Fifth Ave, such as Fendi, Bergdorf Goodman and De Beers, are just a short stroll from your accommodation. The Hilton Grand Vacations Club at West 57th Street offers contemporary studio units, one-bedroom suites and penthouse apartments. Each unit perfectly blends stylish furnishings with modern amenities. Imagine premium, luxurious linens set against elegant oak, granite and marble touches. In our fast-paced world the need for connectivity is vital, so all units feature high-speed wireless Internet access along with a state-of-the-art entertainment system. The pampering doesn’t stop when you leave your timeshare unit, as this 28-story building boasts a variety of amenities designed to indulge. At the Hilton Grand Vacations Club at West 57th Street, guests can enjoy a spacious outdoor terrace, private lounge exclusive for timeshare owners and guests, and a fitness center. The friendly staff at the Hilton Grand Vacation Club helps make timeshare guests feel at ease with valet parking and valet laundry. Their concierge service can help guests land tough-to-buy concert tickets or a table at one of the hottest restaurants in town. The Hilton Club recognizes the challenges faced by those with disabilities and has designed the residence with accessibility in mind, with larger entry into guest rooms and exercise facilities. Televisions feature closed captioning and there is TTY for guest use. The beauty of timeshare is that you can own a second vacation home without the expense and year-round maintenance of whole ownership. Now compare the cost of buying a condo in the middle of New York City with buying a timeshare at discounted resale prices and you’ll see the incredible value of owning a Hilton Grand Vacations Club at West 57th Street timeshare for your Manhattan vacations. Why are resales so much less? Because the prices through the resort include the sales commissions and marketing costs associated with the on-location sales process. Here at BuyaTimeshare.com, you save that money, averaging 50% of the retail cost, because you’re buying directly from an existing owner. That’s money staying in your pocket instead of going to a salesman. Take a look at the outstanding selection of timeshare inventory here at BuyaTimeshare.com and make an offer on the timeshare of your choice. Then start planning your New York City vacation. Contact Hilton Grand Vacations Club at West 57th Street Specialist Today! I love this location! It’s across from the Plaza and Central Park, next to The Russian Tea Room and around the corner from 5th Avenue. They have a wonderful club room where complimentary breakfast ( hot and healthy ) and afternoon wine, cheese, and hors d’oeuvres are served. You can make a meal from the afternoon hors d’oeuvres. 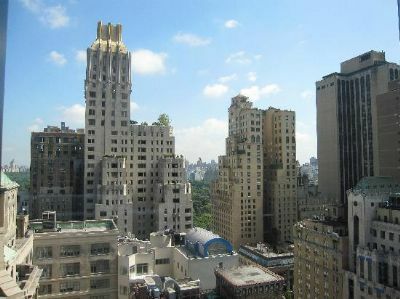 This property is in a wonderful location next to Carnegie Hall. The staff is friendly and helpful. 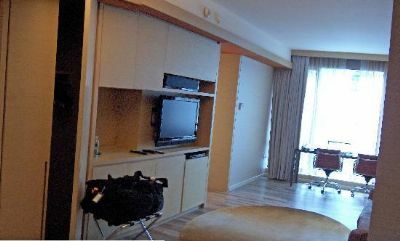 The units are luxurious, well-appointed and comfortable. 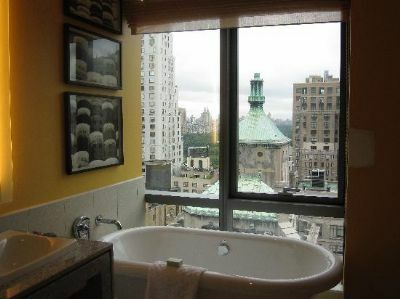 The property is an easy walk to Central Park and Times Square and makes a great home base when visiting New York. I love staying here!